Make your course Next Level Set your greens apart, save time and money. 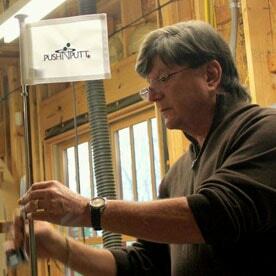 PushNPutt is the creation and invention of Jerry Mallonee, an avid golfer and serial inventor. The idea for PushNPutt was born out of a simple plan to have more fun while practice putting. I love the idea of never having to pick up that little flag out of the practice green, or heaven forbid bend over to pick my ball up out of the hole.